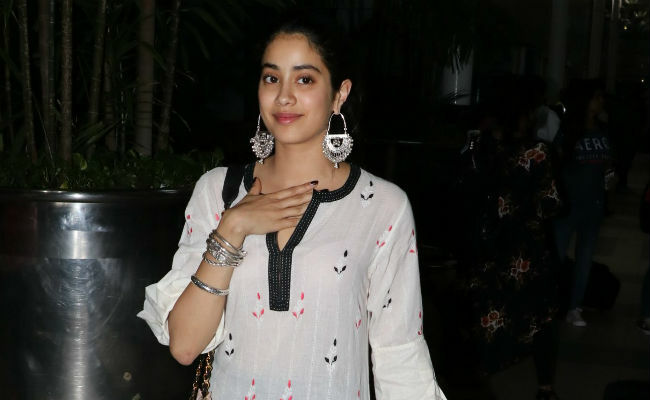 Janhvi Kapoor, who is all set to make her Bollywood debut with upcoming film Dhadak, said that she always "wanted to see herself on the silver screen," news agency PTI reported. Daughter of late actress Sridevi and producer Boney Kapoor, Janhvi recalls how she and her sister Khushi were "obsessed" with Shah Rukh Khan and Deepika Padukone's film Om Shanti Om and would enact scenes from the film. "I remember I would watch random movies and was obsessed with Om Shanti Om. I would enact every scene from the film and force Khushi to be Shah Rukh Khan and I'd be Deepika, doing that typical hand wave," PTI quoted Janhvi as saying. Born and brought up in one of Bollywood's most prominent families, Janhvi explained how she decided that she wanted to take up acting as a career. "I wanted to explore other avenues. I wanted to know if I'm inclined to this just because it's been in my house while growing up or is it really something I can dedicate myself to. So, I decided to take up an acting course, an art history course and a fashion course. I started with the acting course and I remember, it's like, once you live an honest moment in front of an audience, it's euphoric. It's an irreplaceable feeling," Janhvi Kapoor added. Janhvi's debut film Dhadak, which also stars Ishaan Khatter, is just a few days away from release. The Shashank Khaitan-directed film is the Hindi remake of Marathi blockbuster Sairat, which starred Rinku Rajguru and Akash Thosar. Janhvi will play the role portrayed by Rinku Rajguru in the Marathi version. "What Rinku has done in Sairat, everyone said how honestly she played that character and lived every best. She's an unbelievably talented girl. I don't think anyone else can repeat that performance ever. Even if I tried, it would be a joke because no one can do what she's done. That would be an imitation. There's no fun in that. As an actor, I want to live, experience and not imitate," the 21-year-old actress said. Janhvi Kapoor and Ishaan Khatter's Dhadak releases this Friday.